Sylvester Stallone (born July 6, 1946) is an American actor, screenwriter, producer, and director. 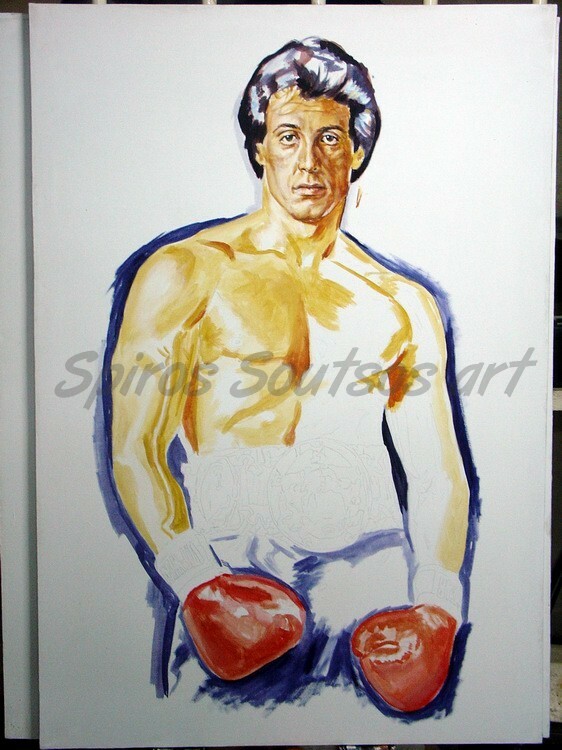 He is well known for his Hollywood action roles, particularly boxer Rocky Balboa, the character of the Rocky series’, soldier John Rambo from the four Rambo films, and Barney Ross in the three The Expendables films. He wrote or co-wrote most of the 14 films in all three franchises, and directed many of the films. 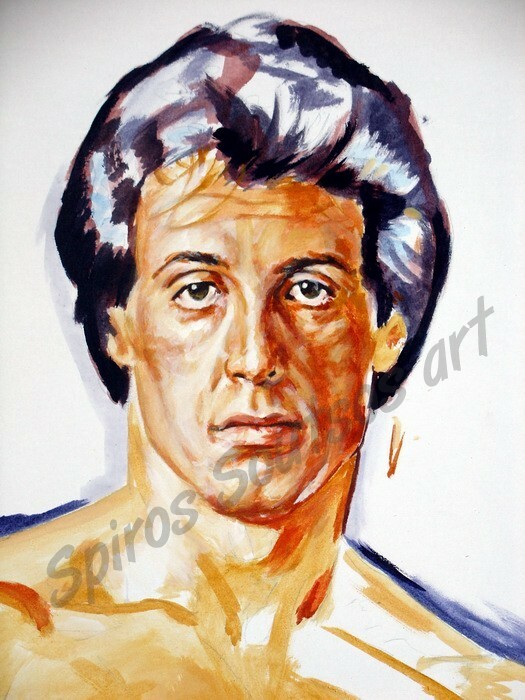 On March 24, 1975, Stallone saw the Muhammad Ali–Chuck Wepner fight. That night Stallone went home, and after three days and 20 straight hours, he had written the script for Rocky. Stallone subsequently denied that Wepner provided any inspiration for it. A possible inspiration for the film may have been Rocky Graziano‘s autobiography Somebody Up There Likes Me, and the movie of the same name starring Paul Newman. Stallone attempted to sell the script to many studios, with the intention of playing the lead role himself. Irwin Winkler and Robert Chartoff interested and offered Stallone $350,000 for the rights, but had their own casting ideas for the lead role, including Robert Redford and Burt Reynolds. But Stallone refused to sell the script unless he played the lead character and eventually, after a substantial budget cut to compromise, it was agreed he could be the star. The film was directed by John G. Avildsen and grossed $5 million during its opening weekend and eventually reached $117 million at the North American box office. 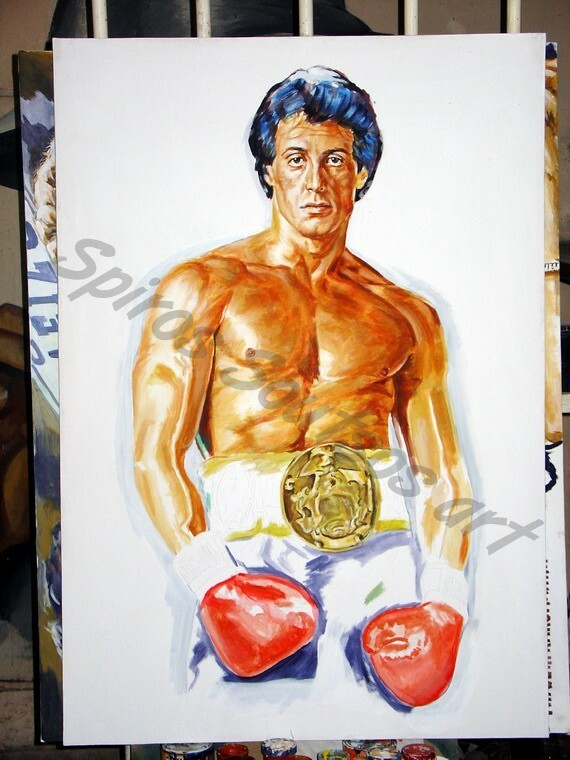 Rocky was nominated for ten Academy Awards, including Best Actor and Best Original Screenplay nominations for Stallone. The film went on to win the Academy Awards for Best Picture,Best Directing and Best Film Editing. 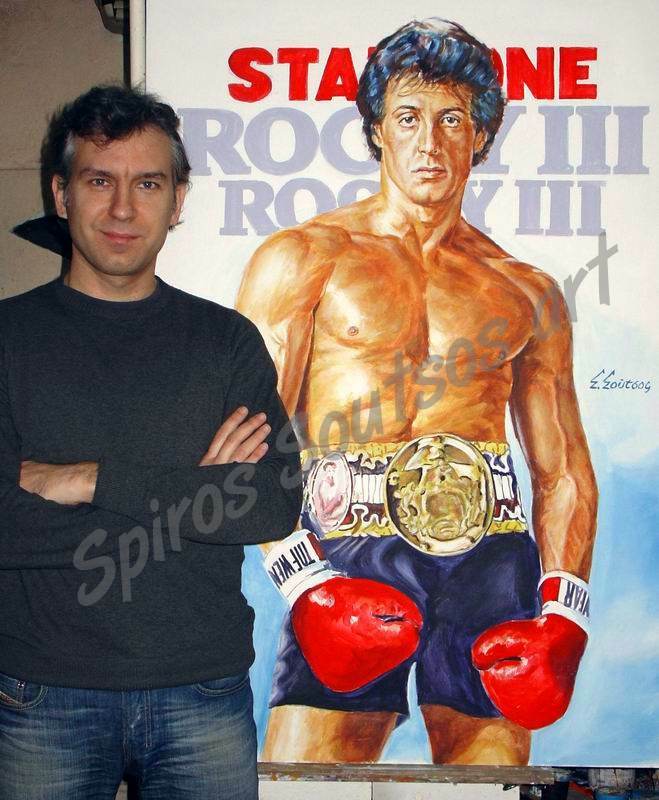 In 1979 he wrote, directed and starred in Rocky II, which also became a box-office success, grossing US$200 million. In 1981 he starred alongside Michael Caine in John Huston’s Escape to Victory, a sports drama in which he plays a prisoner of war involved in a Nazi propaganda football game. Stallone launched another major box-office success, starring as Vietnam veteran John Rambo, in the action-war film First Blood (1982). Critics praised Stallone’s performance for this film. Three Rambo sequels followed, Rambo: First Blood Part II (1985), Rambo III (1988) and Rambo (2008). 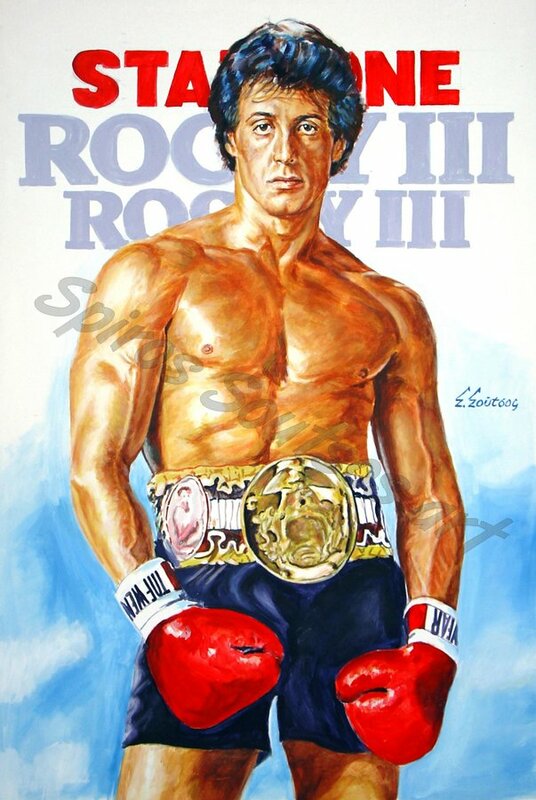 He also continued his box office success with the Rocky franchise and wrote, directed, and starred in two more sequels to the series: Rocky III (1982) with its smash hit main theme “Eye of the Tiger“,written by the group Survivor, and Rocky IV (1985). Stallone has portrayed these two characters in a total of eleven films.